This island institution has been serving generations of Palm Beachers since 1938. The ultimate social equalizer, the luncheonette—with its Formica counter and no-nonsense service—proves no amount of money can provide the same comfort as an excellent patty melt washed down with an absurdly thick coffee milkshake. 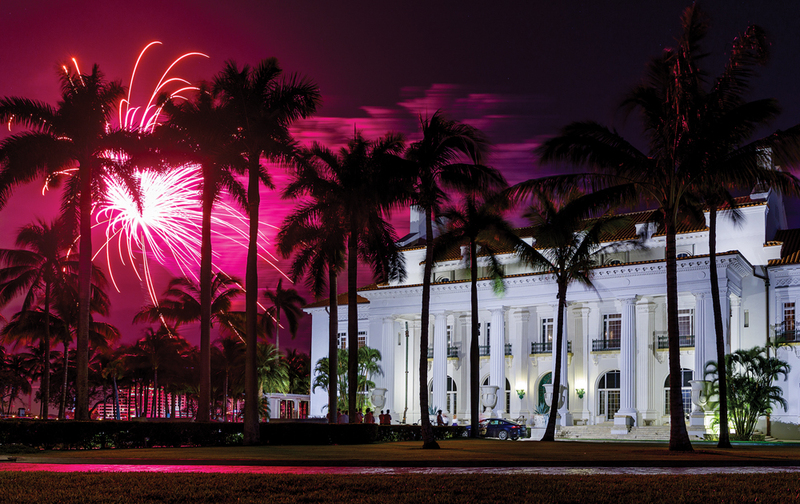 Since their founding in 1935, The Coconuts—who now number 25 of Palm Beach’s swellest swells—have held an exclusive New Year’s Eve party at the Flagler Museum. Don’t fret if your invitation never arrives: You can still watch the fireworks display billionaire David Koch donates. Forget its invention of the Bloody Mary: As one of the oldest restaurants in Palm Beach, Ta-bóo has been the site of more delicious food and scandal than anywhere else on the island. For a front row seat, request Table One, which provides a view of Worth Avenue as well as diners’ comings and goings. The Bethesda-by-the-Sea resale store has garnered a nearly mythical reputation in the world of thrift shopping. No visit to the island is complete without poring through racks of designer clothes and a sublime selection of antiques and collectibles. Should you ever run into someone while wearing her cast-off, be sure to compliment her impeccable taste. Plant lovers have been flocking to this biennial display of horticulture and design since 1929. 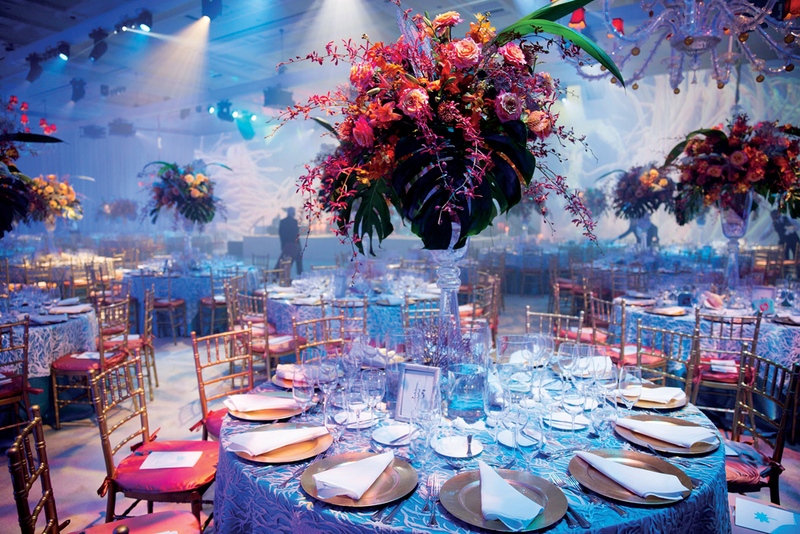 The show’s preview party is always a sellout, and this year’s event, held at The Society of the Four Arts April 8-9, will feature a keynote lecture by Jeff Leatham, artistic director of the Four Seasons Hotel Georges V in Paris. The only way to secure a coveted table at this hot spot is to call at exactly 10 a.m. on the morning of the fifteenth of any given month to make reservations for the following month. If you get a busy signal, keep calling. And calling. And calling. The moment a person answers, snag a slot for your favorite days and times. You can always cancel and gift unseasoned mortals your abandoned table. 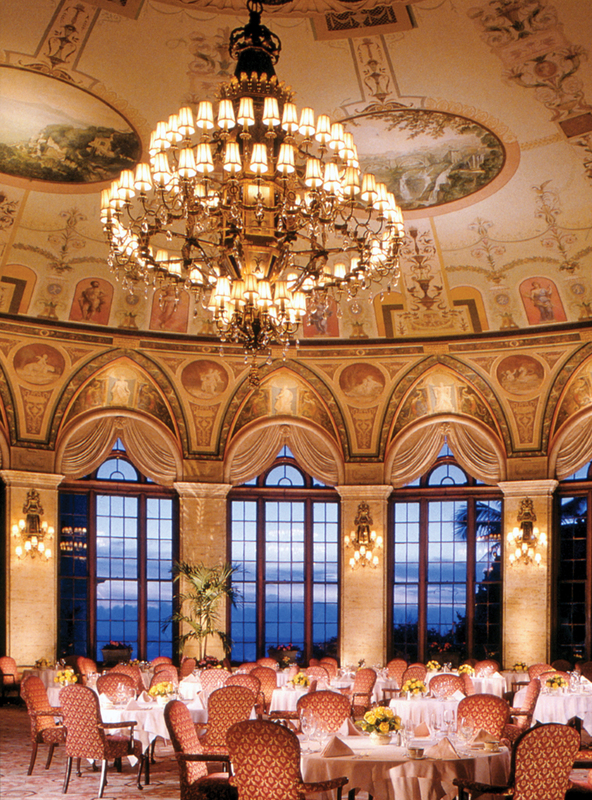 A gala in The Circle room at The Breakers, with its 30-foot frescoed ceiling depicting Renaissance landscapes, is more intimate than those held in the hotel’s famous ballrooms. As beautiful as it is at night, The Circle also boasts the most decadent Sunday brunch in Palm Beach. The Ann Norton Sculpture Gardens offers visitors a momentary respite from the everyday while maintaining the serene feel of an artist’s retreat. Insiders take full advantage of the setting with an alfresco brown-bag lunch in the shade of Norton’s towering works of art. Seaman Schepps jewelry may be stunning, but the prices can give even the toniest islander pause. Fear not. After snapping up the real thing at Seaman Schepps on Worth Avenue, wander down the block to Mariko and grab a handful of Schepps-inspired baubles. Madam calls them her “travel jewelry” since, naturally, she already owns the original. 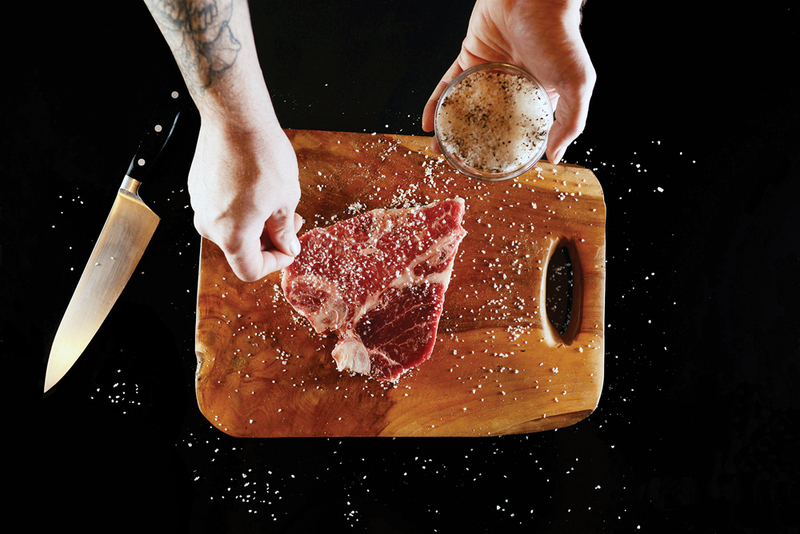 The steaks are reason enough to frequent this Okeechobee Boulevard stalwart, which proclaims itself the oldest steak house in Florida, having opened in 1947. But we head there on our birthdays to devour an 8-ounce New York strip dinner, compliments of the house. It makes getting older a little easier to stomach. Sure, cycling and walking are good exercise, but the best way to feel the wind in your hair is in a convertible—and if it’s a Phantom Drophead Coupé or a vintage 911, so much the better. 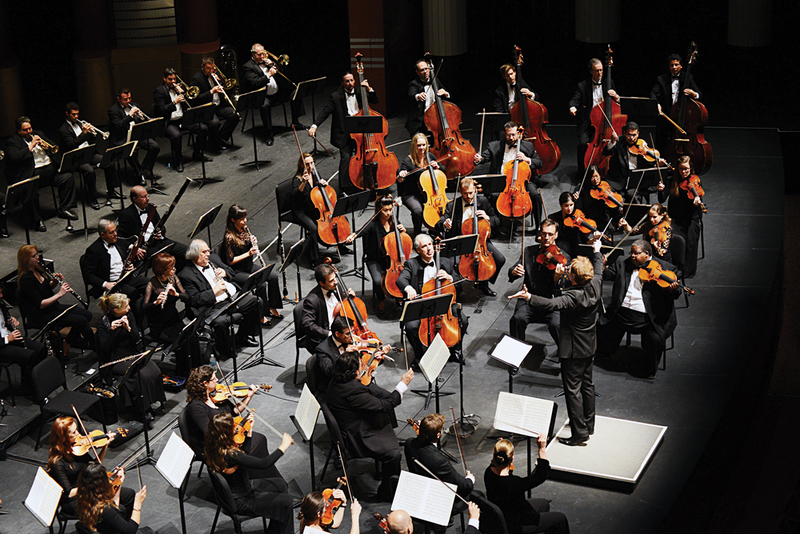 Since its founding in 1974, the Palm Beach Symphony has imbued our lovely surrounds with world-class classical music. It also grows future audiences and inspires tomorrow’s musicians by presenting children’s concerts, hosting master classes at schools, and donating instruments to talented students. Music to our ears. Its arrival heralds your entree into the upper echelons of Palm Beach society. Receiving the Christmas card from the Fanjul family of sugar barons means they consider you an insider: The card includes every family member’s phone number. 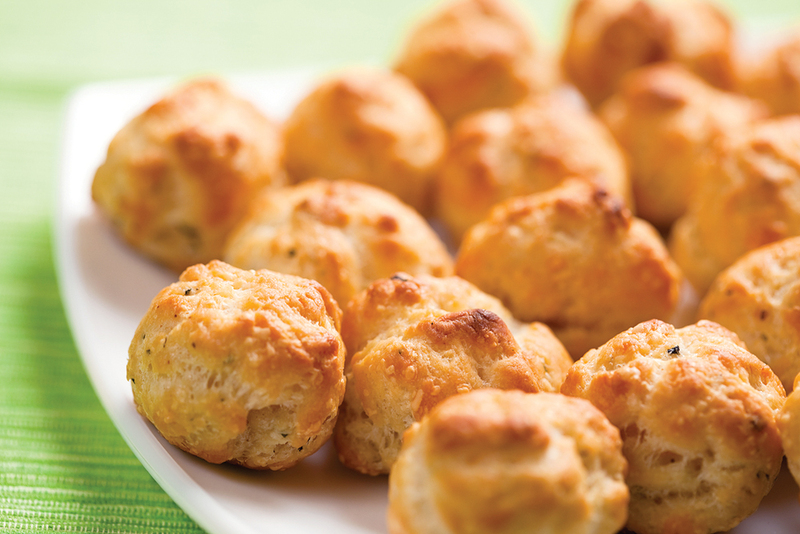 Every hostess worth her weight in Gruyère has a favored variation of this delectable one-bite morsel. The fun is in trying them all and figuring out who does it best. Just as a Hermès Birkin or Chanel 2.5 classic flap bag are considered the only acceptable handbags to carry by a certain species of Palm Beach women, so too is it understood that when extending one’s hand, one must flash a certain bauble. Preferably emerald-cut, although asscher-cut will do. 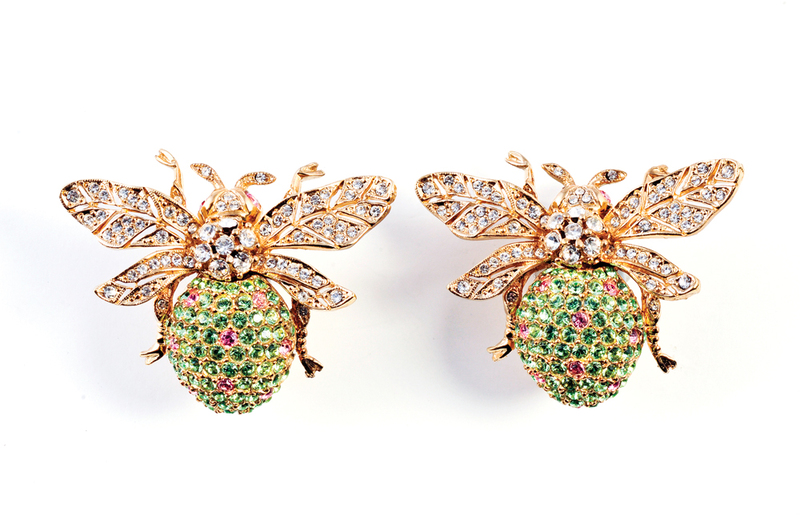 Tiffany and Cartier may whisper, but nothing screams like a million-dollar ring from Graff. This obscure delicacy hearkens to a bygone era of culinary sophistication that the Everglades Club manages to capture with resounding success. A glass dish of jellied consommé is served in a chilled bowl set in crushed ice. 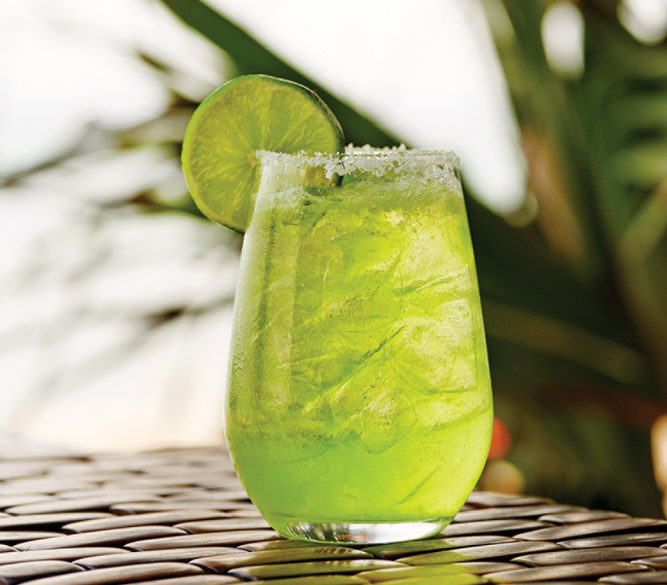 The simple execution delights the palate while providing an elegant option for members conscious of their waistlines. This 80-acre county park abounds with historical allure. 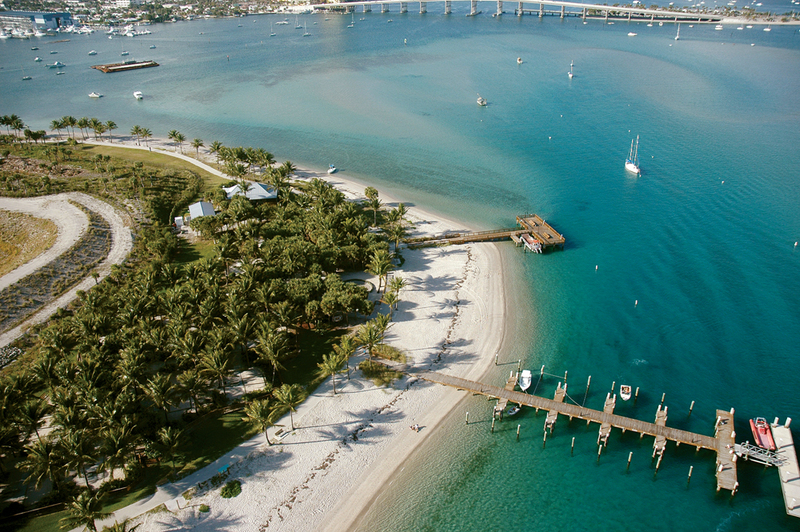 Arrive by kayak, water taxi, or powerboat and explore the Palm Beach Maritime Museum, a former Coast Guard station and John F. Kennedy’s presidential bunker. Exit the presidential digs and go jump in the water, where spectacular snorkeling awaits. Leave it to Palm Beach to ensure even its grocery store is housed in a building reminiscent of a Mizner mansion. No need to bother parking your car. This is Palm Beach, after all, and Publix offers complimentary valet service. Shoppers know to look their best lest they run into acquaintances while grabbing a tub of seafood cheese spread, without which no cocktail party is complete. If you’re wondering where the boys are on Thursday nights, head to The Colony Hotel’s Polo Bar. No one is sure how the tradition began, but every Thursday from 7 to 9 p.m. the company is as fun as it is handsome. The young and the young at heart make for a riotously good time. 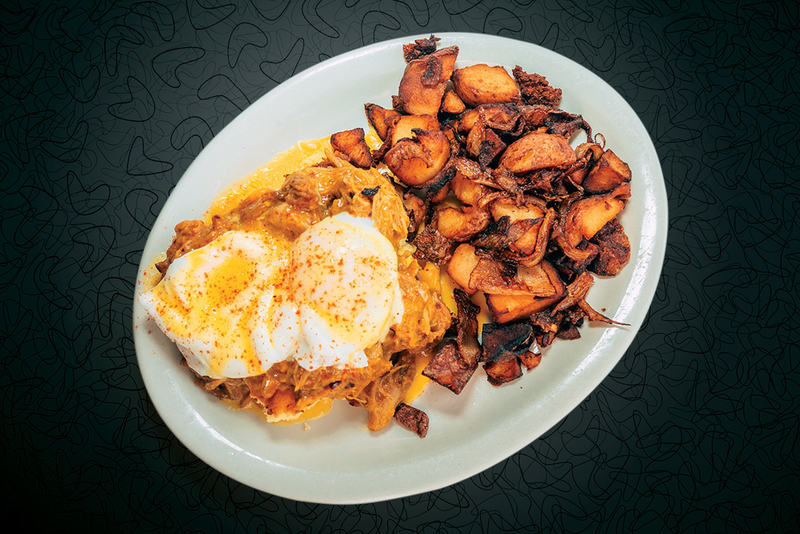 This Dixie Highway diner puts a hip spin on classic comfort food. You’d do well to order the Southern Benedict: sweet cornbread with house-made spicy pulled pork and poached eggs topped with hollandaise. There’s nothing quite so reprehensible as waking to find your photo splashed on the pages of the Palm Beach Daily News because you’ve pulverized someone’s privet hedge after one too many martinis. If you haven’t the luxury of a chauffeur in your employ, do the next best thing and order up an Uber Lux. No one will be the wiser. There never was a Mr. Stubbs nor a Mr. Wootton. 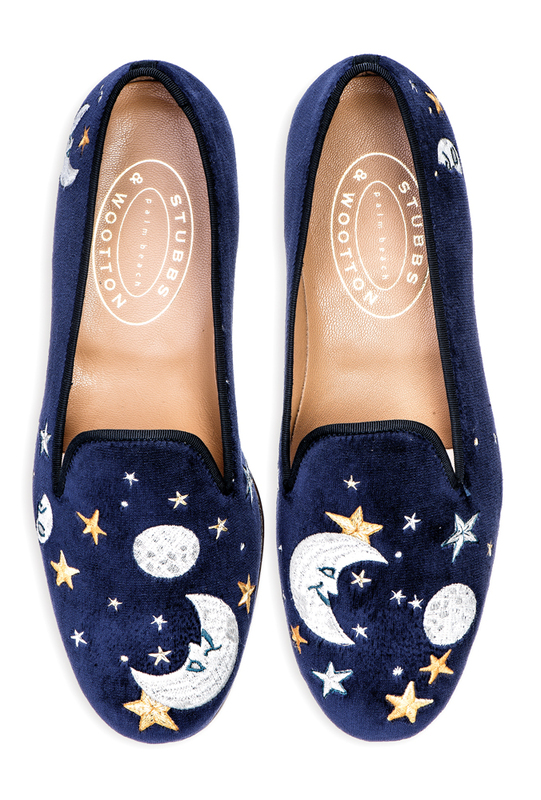 Nevertheless, the natty slippers are a must-have sartorial addition to any proper Palm Beach outfit. Those in the know eagerly await the after-Easter sale, lining up before dawn to snap up shoes at half price. Dining at the exclusive Bath & Tennis Club is a one-of-a-kind experience. If you haven’t had the pleasure, imagine a boarding school cafeteria (tray and all!) that serves the most flavorful food known to man. It’s truly the holy grail of WASP gastronomy. 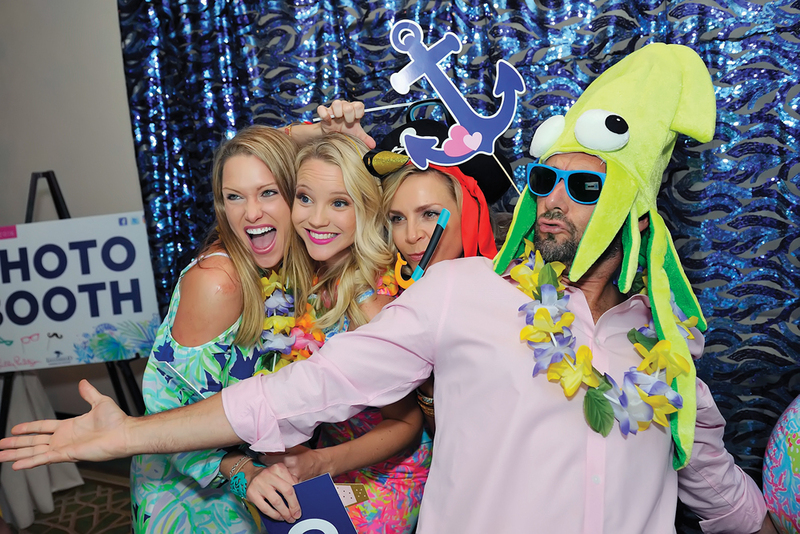 The Beach Bash, sponsored by Lilly Pulitzer and benefiting Loggerhead Marinelife Center, is a fashion free-for-all. Scheduled when every millennial is in town for winter vacation, the uproarious party is definitely for the younger crowd. If you graduated from college more than 10 years ago, you may be mistaken for someone’s parent. Oh, Four Seasons Palm Beach, how do we love thee? 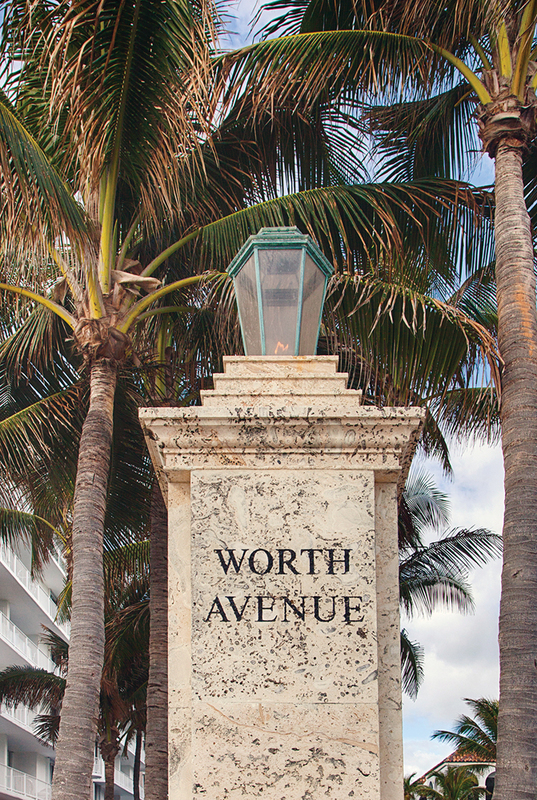 Let us count the ways: picture-perfect oceanfront location, renowned hospitality, and an island-casual vibe that reminds us why we love living in Palm Beach. We can’t wait to see what this summer’s renovation brings. Diners return to Grato for the irresistible thin crust pizzas, best enjoyed from a perch at the pizza bar, which makes for divine dinner theater. Equally convivial is the community table at chef Clay Conley’s other culinary masterpiece, Buccan. You’ll be making new friends in no time. 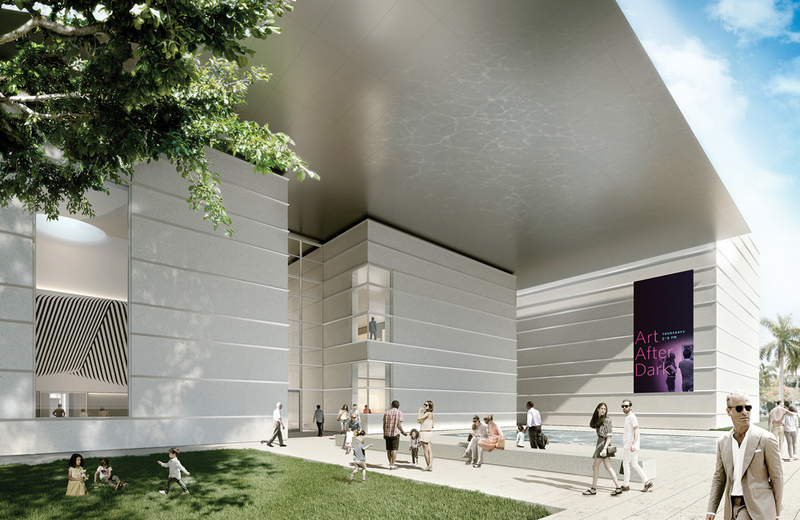 It’s an exciting time at the Norton Museum of Art, which broke ground last year on its new multimillion-dollar expansion, designed by Lord Norman Foster and scheduled for completion in 2018. While we await the ribbon cutting, the museum offers free admission, including to local favorite Art After Dark. Sale proceeds at the Nearly New Shop, which recently relocated to Antique Row, benefit the seniors served by MorseLife Health System. Although it carries clothing, savvy shoppers frequent it for the amazing furniture, ranging from Karl Springer telephone tables to sofas worthy of any South Ocean Boulevard mansion. Who knew a pair of French Canadians could so charm Palm Beach? Obviously, the way to our hearts is through our stomachs. Not only is Chez L’Épicier a chic, sociable space, it also lets us be kids again by roasting homemade marshmallows at the table. 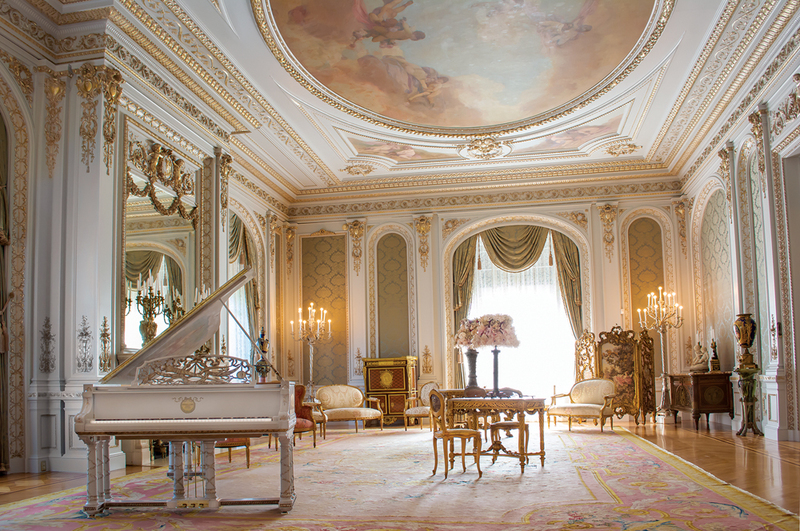 The Flagler Museum is a monument to the man responsible for fostering the idea of Palm Beach. Henry Morrison Flagler believed that if he built it, they would come. In this case, the “it” was the Royal Poinciana Hotel and the “they” were trainloads of wealthy northerners. If it wasn’t for Flagler’s foresight and ingenuity, we might all still be watching Alligator Joe wrestle gators on the site of what is now the Everglades Club. The level of service and quality of orchids at this South Dixie Highway store is unsurpassed. It might be oddly off the beaten path, but the line of luxury cars idling outside indicates you’ve arrived at the right place. Ask for Jamal. An invitation to Thanksgiving at Tony Award–winning Broadway producer and Allen & Co. heiress Terry Allen Kramer’s 43,000-square-foot South Ocean Boulevard mansion is indeed reason to give thanks. 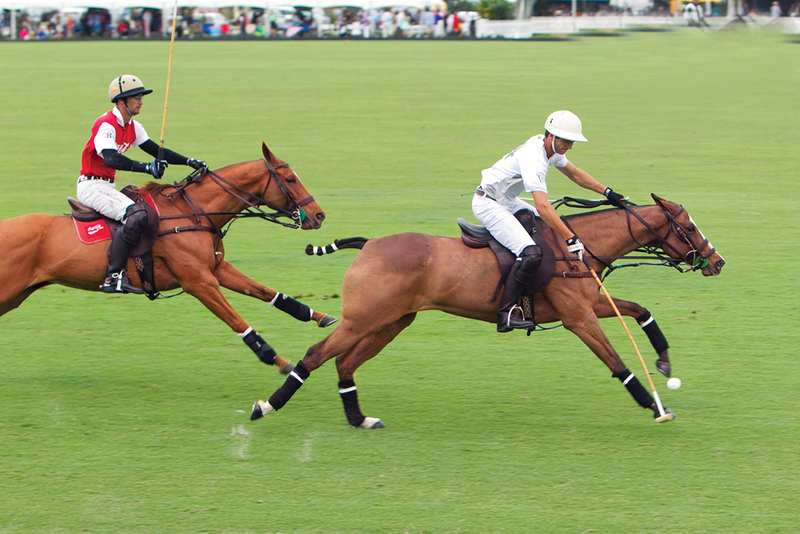 If it’s a Sunday in season, you can be sure the Palm Beach set is heading to Wellington to take in a polo match and pop a few corks of Veuve Clicquot. The fashion scene is a spectator sport of its own. For four-legged family members, Onblonde Pet Spa & Boutique is an island must. The blueberry facial and milk thistle paw soak are givens, but there’s nothing like “a day at the farm,” the supreme pet retreat. 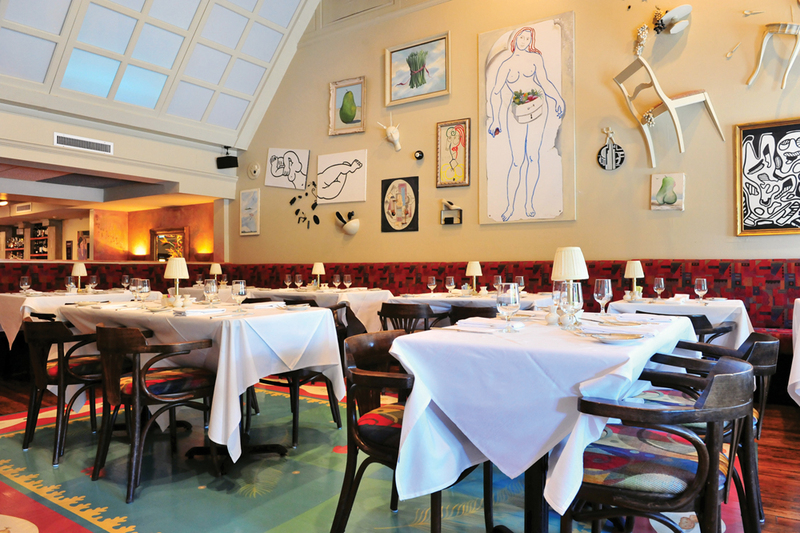 The inventive decor may be a Salvador Dali aberration, but the French cuisine at Chez Jean-Pierre remains as scrumptious as the day chef and owner Jean-Pierre Leverrier opened the doors in 1991. The scrambled egg with caviar is unrivaled, as is the cozy Table 29, popular with canoodling couples. Palm Beachers in search of a furry friend visit Peggy Adams Animal Rescue League to adopt a lovable dog or cat in need of a home. 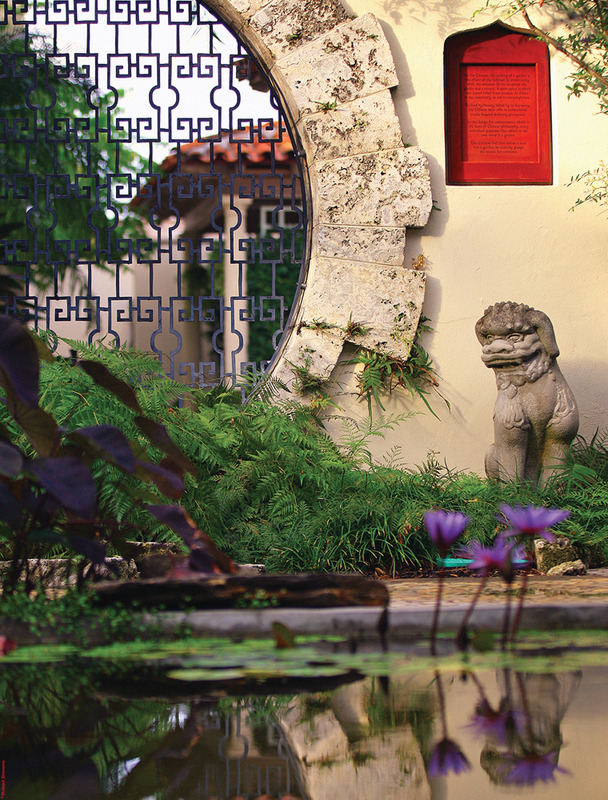 We suggest naming your new addition Johnnie Brown in honor of Addison Mizner’s favorite pet pal. From classical music appreciation classes to workshops on crafting seashell art, there are countless opportunities for self-enhancement at this educational island institution—and plenty of household-name speakers, too. This eating extravaganza is truly a site to behold, both from a food and decor perspective. Although the Italian-themed evenings are popular, members and their guests flock to the elaborate Chinese food feasts. In a town as social as Palm Beach, this party is not to be missed, especially because supporting the Preservation Foundation assures the continued beauty and architectural integrity of the island. It’s Palm Beach so, naturally, Santa arrives by exotic car for the annual Worth Avenue tree lighting. A parade of prime rides owned by local collectors precedes Santa’s appearance—and there’s never a reindeer in sight. The Palm Beach outpost of New York City and Southampton favorite Sant Ambroeus has quickly become the place to nosh and nibble, be it breakfast, lunch, or dinner. Power players vie for Table 41, which provides the opportune vantage point to see and be seen while sipping a cappuccino. 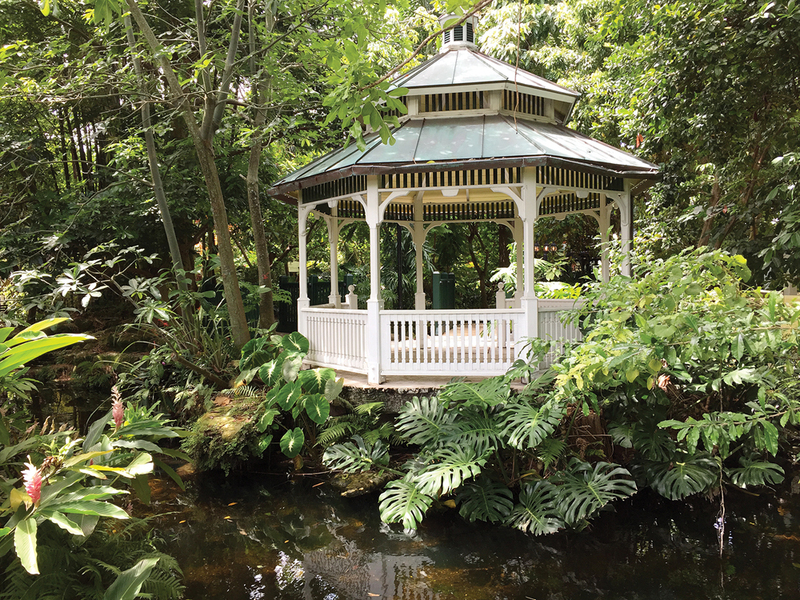 Mounts Botanical Garden is a veritable Eden that teaches visitors about plants that thrive in Florida’s challenging climate. This spring, Mounts will open Windows on the Floating World, a collection of walkways that will allow guests to traverse a tropical—and wet—wonderland. The Lifelong Learning Society at Florida Atlantic University offers a remarkable array of lectures, programs, and concerts to students of all ages. Speakers range from local personalities to well-known political and cultural figures. 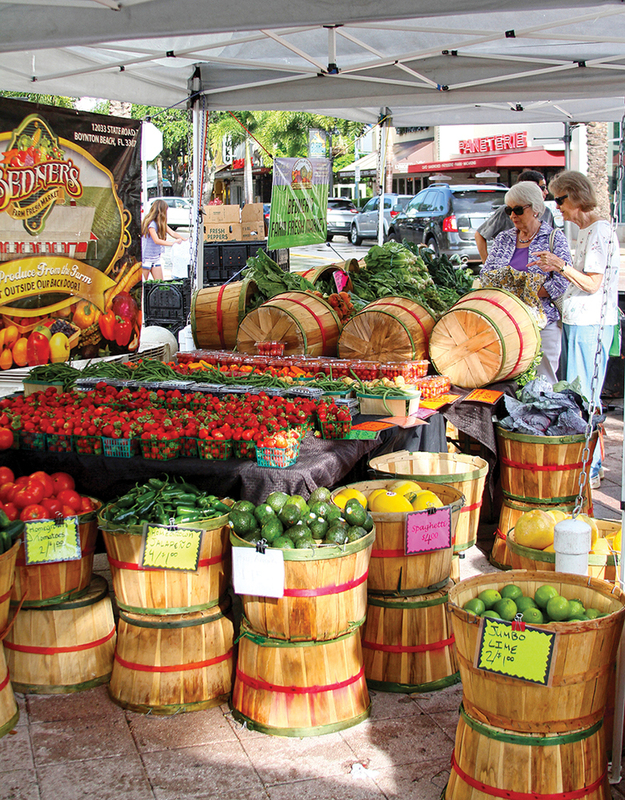 With more than 80 vendors, the West Palm Beach green market is the ultimate weekend outing, enhanced by its waterfront location. 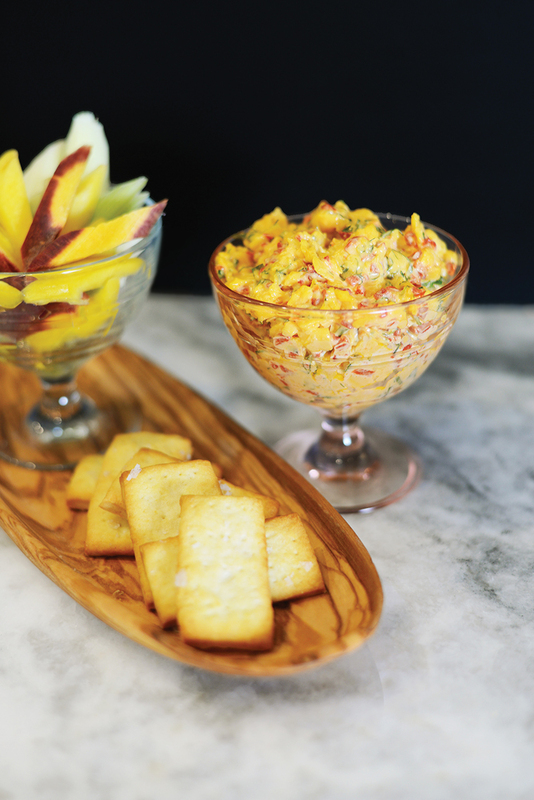 Freshly baked bread from Importico’s and a savory spread from Macy’s Smoked Fish Dip are a winning combination for an impromptu picnic at the adjacent Centennial Park. For green thumbs, the orchid selection is epic. Held at The Mar-a-Lago Club, the Policemen’s Ball sells out every year thanks to its reputation as the party on the gala circuit. 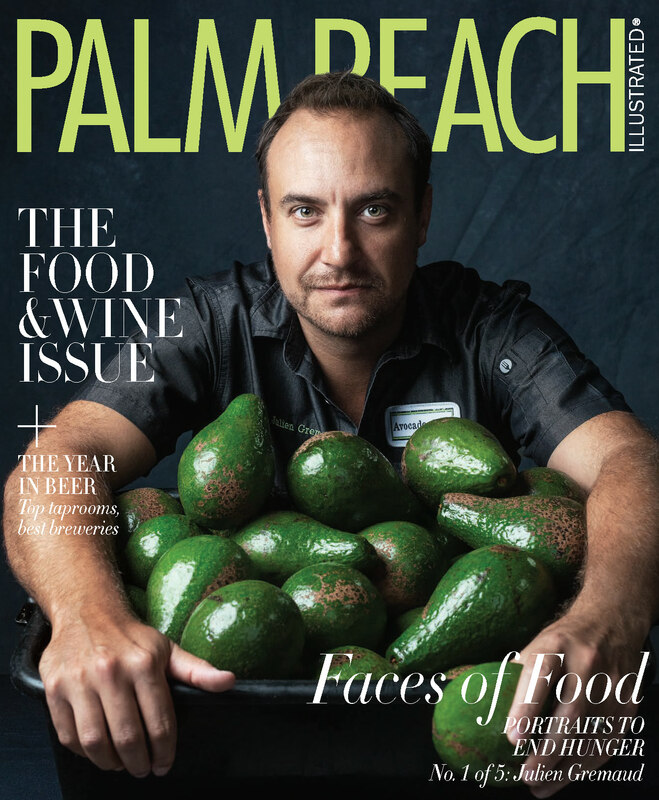 Le tout Palm Beach is on hand to toast the force and snap up $1,000 bottles of Dom Pérignon. Let’s just say it’s easy to let one’s hair down knowing the police is in the room. We literally dream about the filet mignon at Flagler Steakhouse, washed down with a (shaken) martini, preferably enjoyed while seated at a table on the terrace overlooking the golf course. 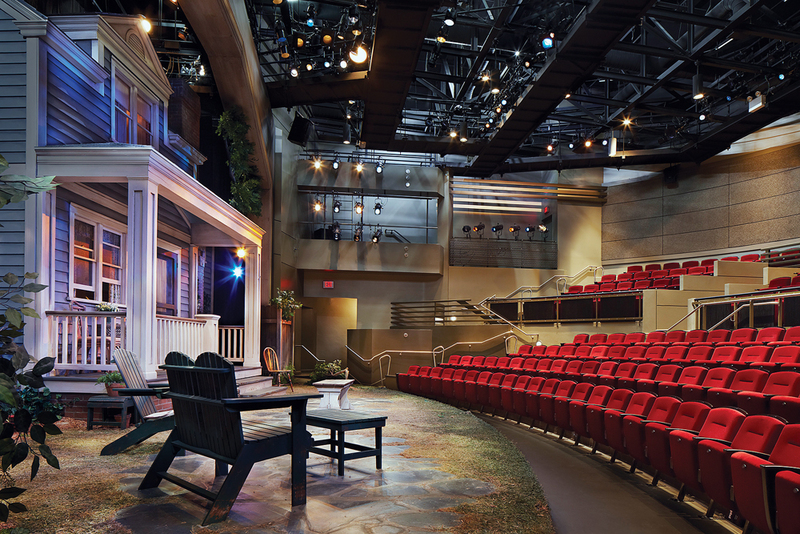 A cultural mecca in the heart of downtown West Palm Beach, Palm Beach Dramaworks presents professional repertory theater to an audience of passionate local theater lovers. By the closing curtain, you’ll have convinced yourself you’re in New York. 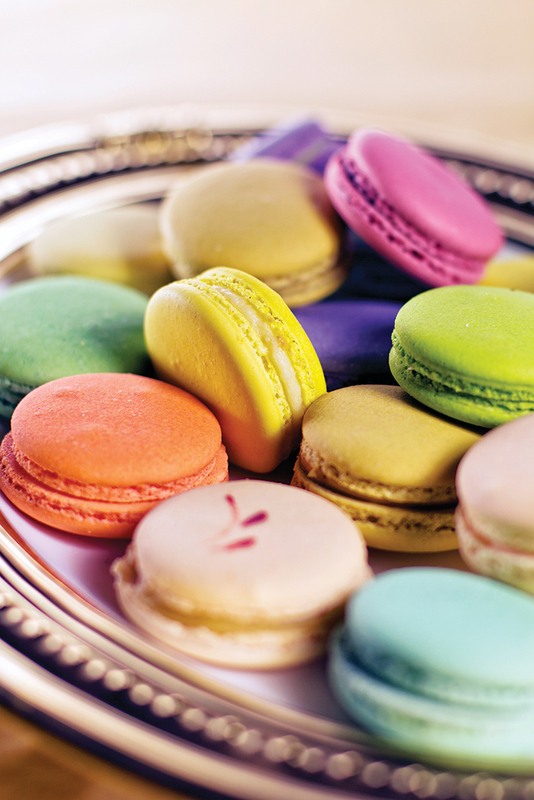 Patrick Lézé’s macarons at his eponymous Sunrise Avenue patisserie rival those of famed Ladurée. The salted caramel variety is a must-try. 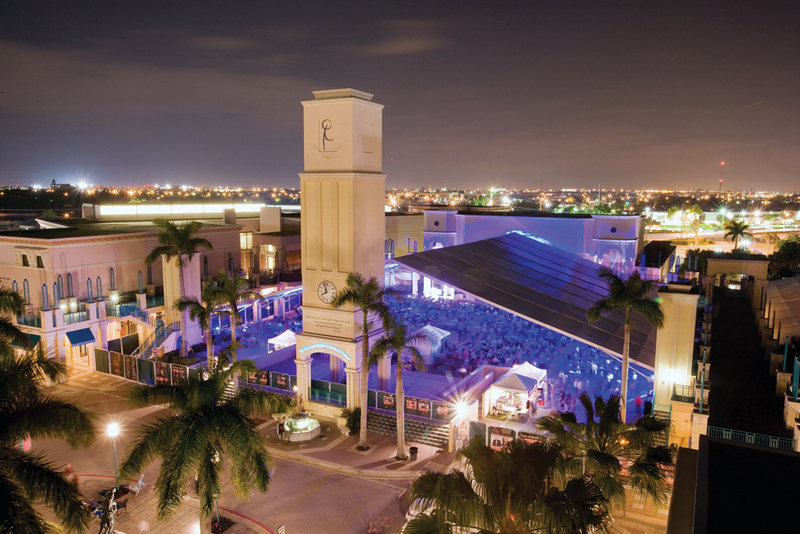 When the Kravis Center opened in 1992, it signaled a new era for the arts in West Palm Beach. 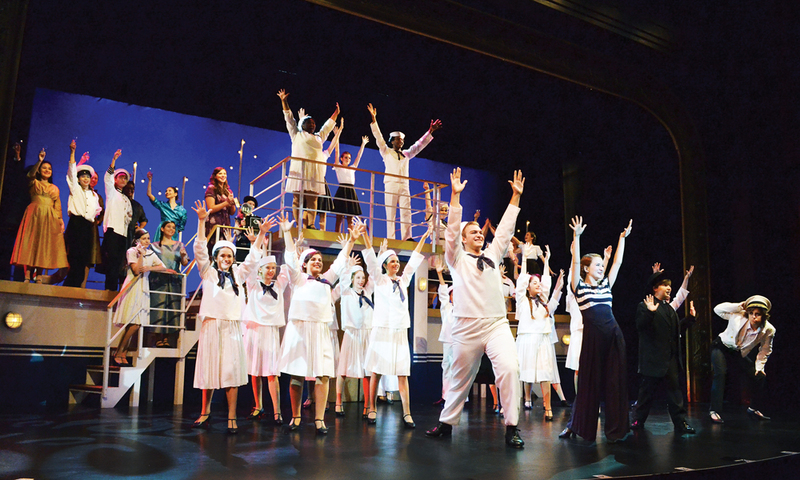 Today, it’s home to Broadway productions, touring stars, and local companies like the Palm Beach Opera. Sundy on Sunday? Why not? Head to the Delray Beach hidden (literally) gem to partake in a heavenly brunch while gazing at the Taru Garden, home to more than 5,000 plants. The Maltz Jupiter Theatre is shaping the next generation of superstars at its Goldner Conservatory of Performing Arts. It offers children’s camps and classes as well as adult tutoring in acting, dance, and musical theater. During the day, the restaurant serves predictably tasty Italian fare. But something changes at the stroke of midnight, when the disco ball above the bar starts to revolve. 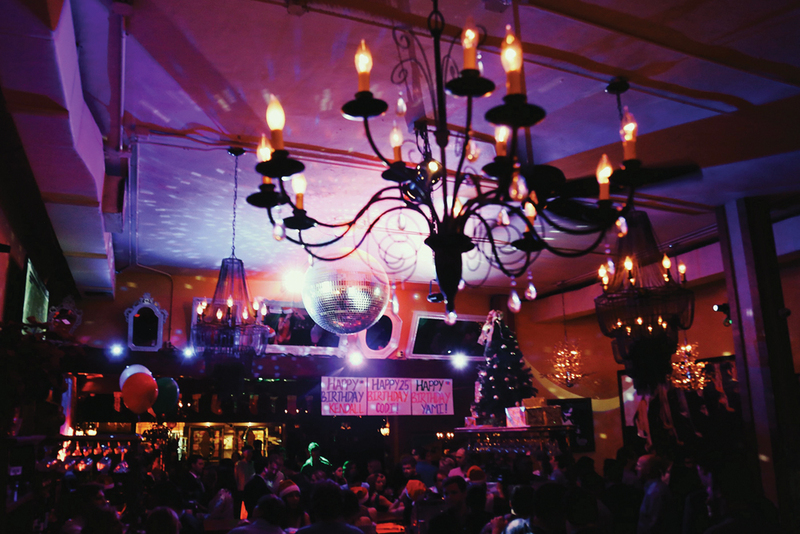 To suggest the trattoria transforms into Studio 54 in its heyday is an understatement. The only rule: What happens at Cucina stays at Cucina. 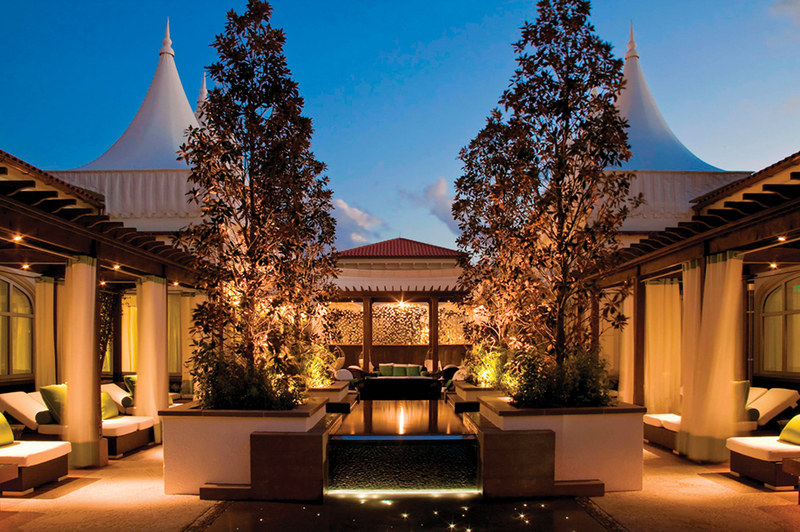 The Eau Spa at Eau Palm Beach Resort is one of the most sybaritic experiences in Palm Beach. Where else can you combine exquisite pampering with rubber duckies, Champagne, and cupcakes? Think of it as elegance with a sense of humor. For years, Kitchen restaurant chef and owner Matthew Byrne’s claim to fame was his stint as Tiger Woods’ personal chef. These days, his American bistro fare is hogging the spotlight. 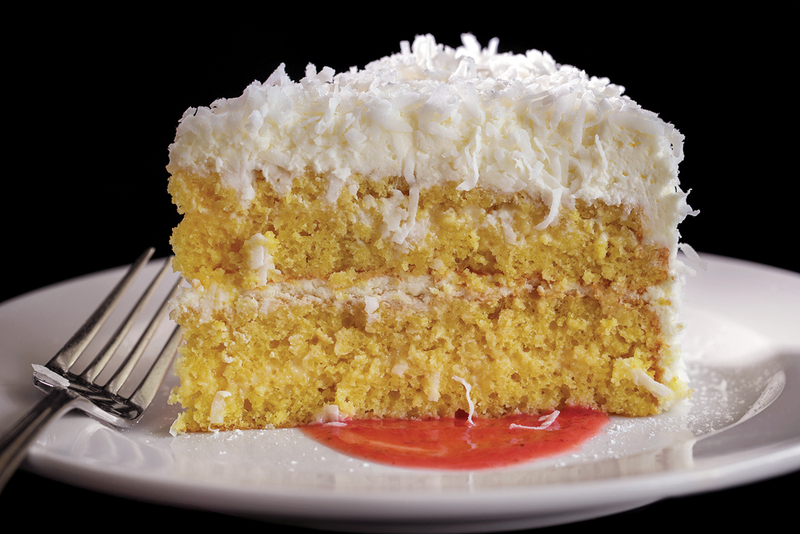 Whatever you select for your main, save room for the coconut cake. The trifecta of holes—15, 16, and 17—is considered among the most difficult three-hole stretches on the PGA Tour. 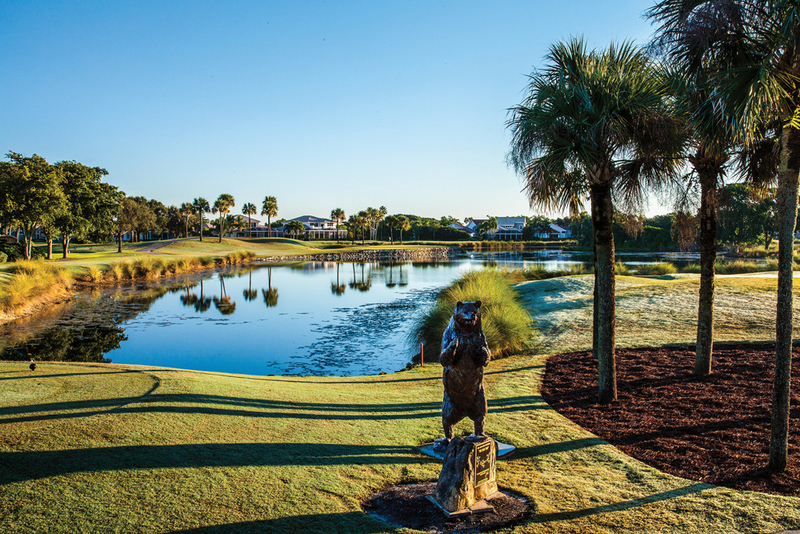 Named in honor of golf and local legend Jack Nicklaus, it serves to separate champions from mere duffers. 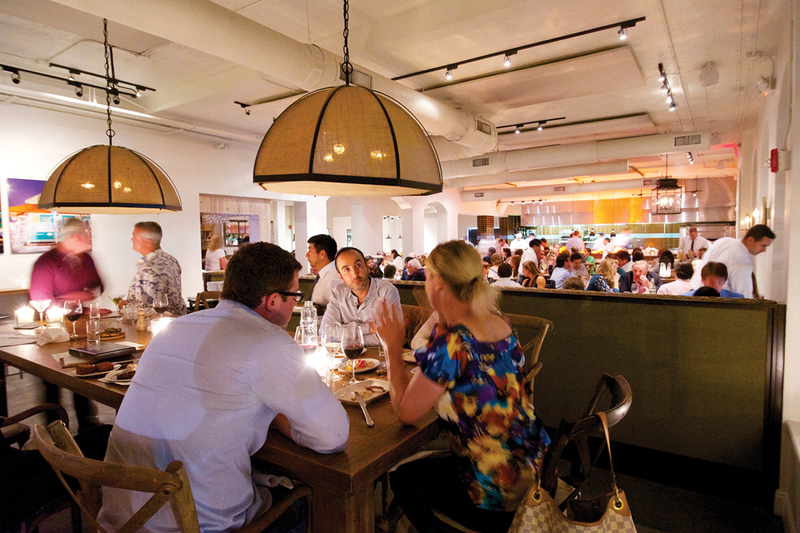 The long wait to score a seat at Tim Lipman’s farm-to-table resto is worth it. 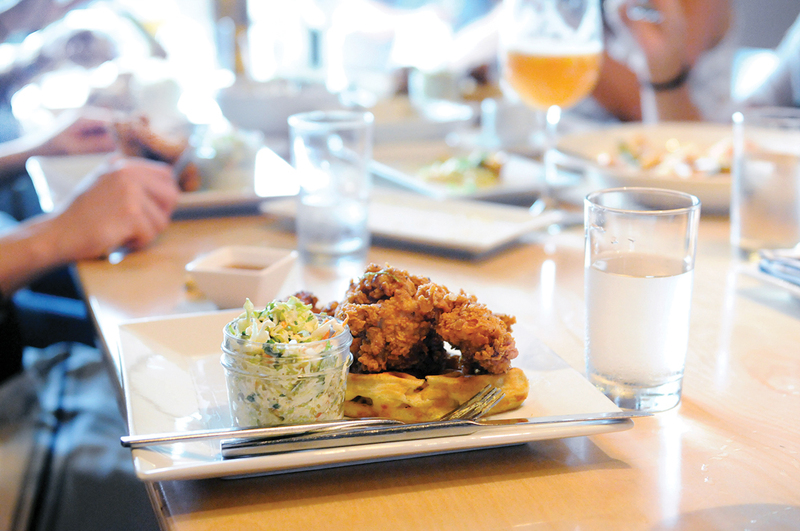 Once you do, be sure to order the fried chicken and waffles, which Lipman reinterprets with a jalapeño-cheddar waffle paired with preserved lemon and a perfectly crispy bird. What do you get when you pair philanthropy with fashion? The must-attend, sartorially significant Hospice Evening. The annual happening features a fashion show showcasing current looks by top design houses (Oscar de la Renta and Carolina Herrera, to drop a couple of names). For 10 straight days in March, the Festival of the Arts Boca entertains with music, dance, jazz, and literature. The highlight is a screening of a classic movie accompanied by a live orchestra. This year, laugh along and tap your feet to the 1964 comedy The Pink Panther on March 11. 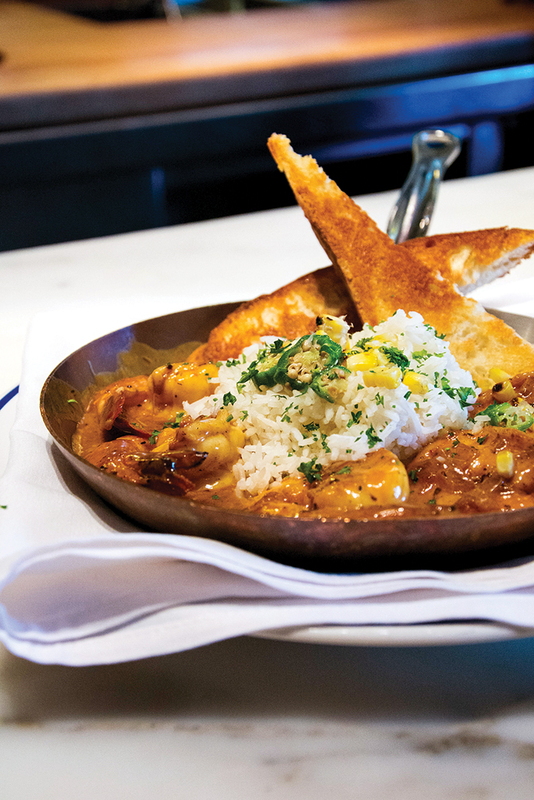 When it comes to Southern food, Lindsay Autry knows her stuff. The petite powerhouse cooks up a storm at her new eatery, The Regional, at CityPlace—and the locals flock to worship at the altar of her pimento cheese, prepared tableside. 61. A hipster haircut at Cut + Shave Co.
Haute and hirsute gentlemen make a beeline to Stacy Sims at Cut + Shave Co. in Wellington. The soft-spoken Sims knows her way around a straight razor and is renowned for taming the luxuriant tresses of her polo-playing clientele. Parents can have a delicious meal while the tykes tire themselves out on the fantastic playground adjacent to the restaurant or the arcade inside. Who can imagine a better date night without having to hire a babysitter? 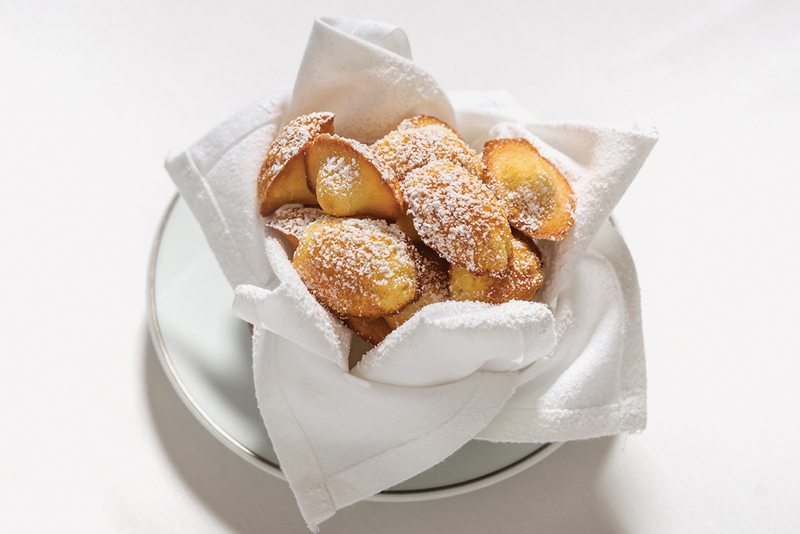 As otherworldly as the cuisine is at chef Daniel Boulud’s eponymous restaurant at the Brazilian Court Hotel, there’s something positively charming when, at the end of dinner, the table is presented with a complimentary basket of warm, lemony madeleines sprinkled with powdered sugar. The ladies who lunch have a secret. Kaffee Keldie, of Garden Spa fame, makes a certain concoction known in inside circles as the “blue bottle” and the “fountain of youth.” Kaffee’s Aloe Hydrating Fluid is made with aloe and sodium hyaluronate and has justly earned a cult following. Palm Beach in the height of the season can be a whirlwind of charity lunches, gala dinners, and cocktail parties. Sometimes the best thing to do is stay home in the chic confines of one’s abode. 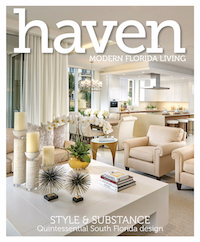 Oceanfront estate or comfy condo, just getting to call Palm Beach home is reason enough to celebrate.